Location, location, location! We have it all. CASA LUNA is located in Barrio Montserrat; we are blessed to be in a very sweet neighborhood on a tree-lined street. Close to the center city; Congresso, yet far from the huslte and bustle of a downtown area. 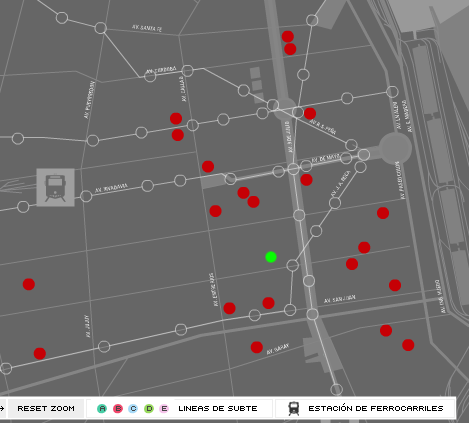 The neighborhood sits in a quandrant surrounded by Ave. 9 de Julio, Entre Rios, Ave. Belgrano and Ave. Independencia. We are on calle Chile and many mornings we have a horse drawn wagon that will pass by the house, but major buslines (60, 168, 102 and 23) that will take you to all areas of the city and beyond; are just one block away - so we are free of noisy buslines passing by the front. The main line for the Subte, Linea 'C' is 3 1/2 blocks away. 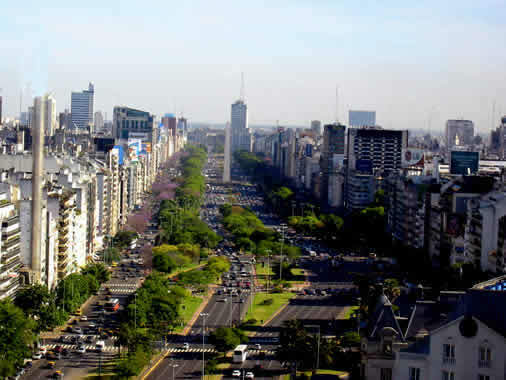 San Telmo is only four blocks away. we are in the midst of over 40 of the best milongas, are your toes tapping?